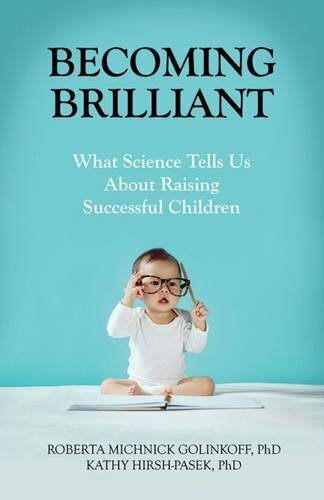 Reassuring to parents and educators, this book shows why – and how – to step away from the cult of achievement and toward more nurturing home life full of imaginative play and love of learning. Children today are being placed under an enormous amount of pressure and this is extending downward even into the crib. 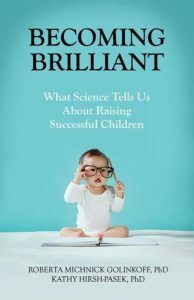 Einstein goes beyond debunking myths spread by the accelerated learning industry and shows parents and educators how children learn best through play and playful interactions with their parents, caregivers, and teachers. This book has been translated into 6 languages. Why is it that the best and brightest of our children are arriving at college too burned out to profit from the smorgasbord of intellectual delights they are offered? Why are children from poor backgrounds struggling to learn in classrooms filled with “drill and kill” instruction as opposed to playfully guided learning? 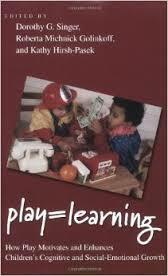 In this book, researchers review research illustrating how play provides children with opportunities to maximize their attention spans, learn to get along with peers, cultivate their creativity, work through their emotions, and gain the academic skills that are the foundation for later learning. Play has become a four-letter word. In an effort to give children a head start on academic skills like reading and mathematics, play is discouraged and didactic learning is stressed. 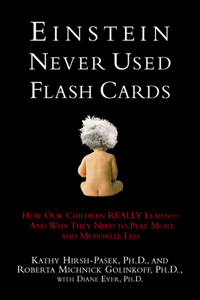 This book presents the scientific evidence in support of three points: 1) Children need both unstructured free play and playful learning under the gentle guidance of adults to best prepare them for entrance into formal school; 2) academic and social development are so inextricably intertwined that the former must not trump attention to the latter; and 3) learning and play are not incompatible; learning takes place best when children are engaged and enjoying themselves. Playful learning, and not drill-and-practice, engages and motivates children in ways that enhance developmental outcomes and life-long learning. If we hope to prepare intelligent, socially skilled, creative thinkers for the global workplace of tomorrow, we must return play to its rightful position in children’s lives. In each generation, children’s art allows us to peek into their world. Even if what they draw is totally unrecognizable to the adult eye, excitement radiates as children realize that their actions leave marks that make others marvel. Scribbles harbor important clues to each child’s development. Scribbles are to drawing what babbling is to speech and what crawling is to walking. When we appreciate a scribble we recognize each child’s emerging uniqueness. This book was created to celebrate the scribble in a time when children’s creativity and self-directed activity is being minimized by the surrounding culture. Children need time to express themselves and create products from their own imagination. Art is a wonderful outlet! 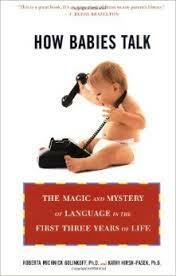 Even before birth, nature and nurture are at work preparing babies with the tools for mastering their native language. Almost magically, in the first three years, babies learn to recognize words, decipher their meanings, put together sentences, and ask questions. How Babies Talk explores how babies learn language, and the concrete ways in which parents and caregivers can help nurture these linguistic skills at every stage of their children’s development. This book has been translated into 6 languages. Words are the building blocks of language so an understanding of word learning is central to any theory of language acquisition. 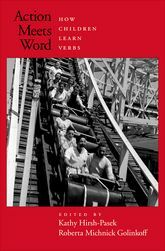 Verbs are, as Lois Bloom stated many years ago, “the hero of the sentence,” as the rest of the sentence is organized around them. Action Meets Word brings together the latest research on the universal foundations of verb learning, offering sections on how babies find verbs in the stream of speech; how they analyze the events that verbs label; how they map their very first verbs onto events; and how they learn to express verb meaning in language-specific ways. This monograph presents a hybrid view of word learning called the emergentist coalition model combines cognitive constraints, social-pragmatic factors, and global attentional mechanisms to arrive at a truly developmental account of how children learn words. In 12 experiments with children ranging from 12 to 25 months of age, data are described that support the shift from a reliance on perceptual to social to linguistics cues. Language acquisition is a hotly contested field that lies at the intersection of cognitive and developmental psychology, linguistics, philosophy, and neuroscience. 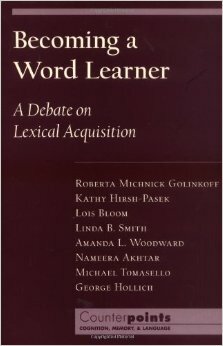 Because the word lies at the core of language, the study of how words are learned offers a foundation upon which theories of acquisition can be constructed. In this volume, researchers from five different theoretical vantage points present their ideas on how words are learned. Commentaries by the authors on each other’s positions follow. How do children achieve adult grammatical competence? 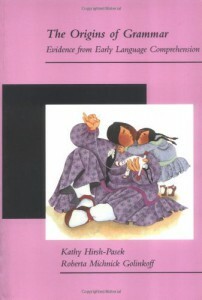 This book describes a theory of language learning that emphasizes the role of multiple cues and forces in development. It further shows how infants shift their reliance on different aspects of the linguistic input, moving from a bias to attend to prosodic information to a reliance on semantic information and finally to a reliance on the syntax itself. This edited volume is based on a view that communication is of central importance to the development of the individual and to the structure of the interactions, relationships, groups and communities that comprise the environment of human growth. 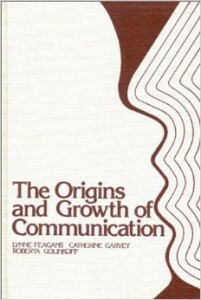 The volume’s contributions are divided into sections on the affective beginnings and early relationships involved in communication, theoretical and methodological issues in the study of communication development, and finally, using and thinking about language, the ultimate form of human communication. 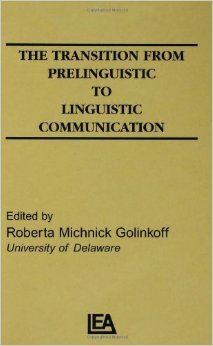 This volume, based on a conference held at the University of Delaware, grapples with how preverbal communication is functionally related to the subsequent acquisition of language. Contributors to the volume were asked to consider a common set of questions, including the following: What constitutes communication in the prelinguistic child? How, if at all, does research on preverbal communication illuminate our understanding of language acquisition, and is the development of language a continuous or discontinuous process with prior communication development? 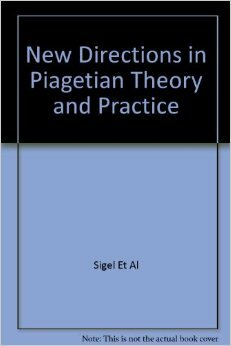 An outgrowth of a meeting of the Jean Piaget Society, this book offers new perspectives on understanding Piaget’s theory of cognitive development in the context of a wide range of research questions. Contributions by leading researchers consider questions such as the origins of children’s knowledge about animate and inanimate objects and the nature of conservation.